The Emerald Isle. Well Ireland is certainly that with the grass being a brighter green colour than New Zealand. Lovely country as are the Irish people though they do seem to be the only people in the world that can come up with dumb questions. The best one asked of me by an Irish girl is; What is it like to stand up all day and not have a head rush? She was of course referring to the fact that I was now in the northern hemisphere and supposedly not standing upside down all day. How dumb is that!! It’s called gravity darling. The Irish Dancing, nature, festivals, landscape and unique places to visit make up for some of the oddest questions. And Ireland is the only country I know of where you can go to prison for doing graffiti. Good idea I say. DUBLIN is very nice but expensive and cold. This is definitely a place I could not live as I hate the cold. I did a tour around Ireland and every second day it was raining. Damn shame as there are some lovely places to see which would have been more enjoyable without the wind and rain. The home of Guinness is here and no one leaves Dublin without a visit to the brewery and the Jameson Distillery. My visit to the Jameson Distillery saw me have 7 nips of whiskey in a ½ hr trying to get rid of the flu. Got very happy but still had the flu the next day. There are places of interest just out of Dublin which you can be reached by train from Connolly Station. Places like Bray and from here you can walk around the sea cliffs to Greystones. There’s the Malahide Castle, National Museum, Art Gallery, Library, Merrion Square and St. Stephens Green. Dublin also has National Transport Museum and the Hill of Howth along with many scenic walks. There is a tram system which goes right through the centre of Dublin with the main bus station within walking distance of the city centre. Lots of shopping on offer to. I wanted to see a rugby game at Lansdowne Road while I was there but it is being refurbished so Croke Park is now being used. You can also do the hop-on-hop-off bus tour. These are only a few things on offer in Dublin. Best hostel in Dublin is the ‘Bunkhouse’. You can go to the very top of the page and book through Hostelworld. Belfast ….now I do know that Belfast is not part of the Irish Republic so don’t get upset at me for including it in Ireland. I am including it as most people will do a tour of Ireland and Belfast is a destination which is naturally included. I only had the one night stay here and arrived late afternoon and had time to walk up the main street. From what I heard Belfast has many students as they have a big university. Nice city which has had a face lift in the centre of the city including Victoria Square. City Hall is an impressive building and so is the International Rose Gardens. The River Lagan runs through Belfast and let us not forget that the ill-fated Titanic was built here and the Harland and Wolff ship building yard was the largest in the world back then. There is a load of history in Northern Ireland to discover. There are bus connections to everywhere and local trains. In the very north of Northern Ireland is the Giants Causeway. This is a remarkable formation of rocks all in a hexagon (I think) shape. There is many an explanation as to how they came to be that shape and they now have the title of Eight Wonder of the World. Truly fascinating especially when you see the shapes and how big the rocks are, how they are standing up and the black colour which comes from them being lava rocks. And they all are pretty much all the same size. They attract tourist from all over the world and I can see why. Also not forgetting way up here in Northern Ireland and a little distance from the Giants Causeway is Carrick-a-rede and Larrybane. This has a rope bridge walk and the areas name comes from the limestone white cliffs. Again there are many tourist buses calling in here. It’s nice but as you are right on the coast the wind coming up and over the top of the cliffs makes it very cold. It has tearooms, toilets, viewing platform and seating to sit and enjoy the view. On a good clear day the coast of Scotland can be seen. DERRY ( also known as Londonderry). You can get a great New Zealand Lamb Burger in this city. Derry still has a wall remaining around the original city and on the west bank of the Foyle River. 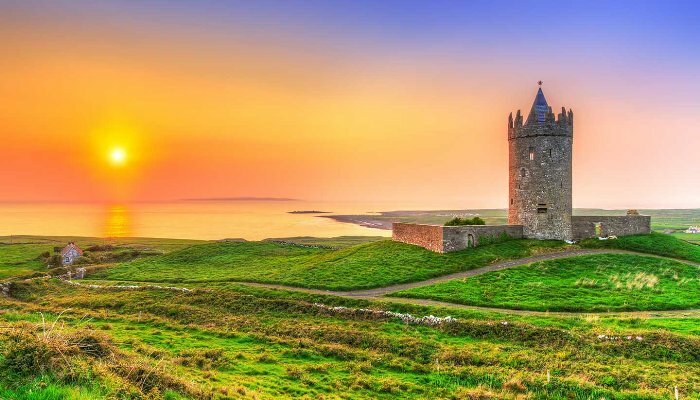 It is the only complete walled city in Ireland and one of the best examples in Europe. Today though the whole of Derry is of course on both sides of the river. I walked the wall on a tour and from up there you get a good view and great photos. There are many Cathedrals and historic buildings, museums, theatres, galleries, walking tours, boat tours and bus sightseeing tours. GALWAY. Galway is on the west coast of Ireland. To me it is like all other Irish cities in the sense that it has Universities, cathedrals, churches, galleries, theatres, museum, parks, music and culture. It is very much the sport city of Ireland with car rallies, rugby, league, basketball, racketball, rowing, handball and martial arts being very popular. 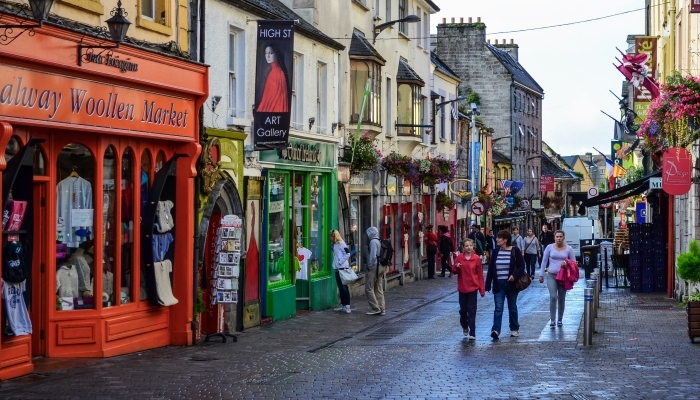 Galway is well known worldwide for the Galway Races and it is the city most people will stay in if they are visiting the Cliffs of Moher. I don’t have to say much on these cliffs as they are high and make for great photos but its cold standing at the top of course. I change the desktop background on my laptop regularly, using the different shots I have of the Cliffs of Moher, when I want to remind myself of just how great they look. This may seem weird to some people that just think they are cliffs but they are actual quite unique as I haven’t come across another place like this anywhere else in the world yet. Visit them please as you will like it. KILLARNEY This is a lovely city also. You can participate in walking mountains and hills, go fishing, cycling, golf, surfing and so much more. It’s a good area to go birdwatching and then relax in the evening in one of its very nice pubs, bars or award winning restaurants. Take a ride in a horse drawn carriage, go to see eagles soaring over lakes and rivers. This is quite a stunning place in terms of scenery. Waterfalls, castles, buildings………….. you name it Killarney has it. Beautiful, just beautiful!! Killarney and the surrounding area have to be a photographers dream. CORK AND BLARNEY CASTLE Ok so we know that everyone goes to Cork and then visits Blarney Castle to kiss the Blarney stone. 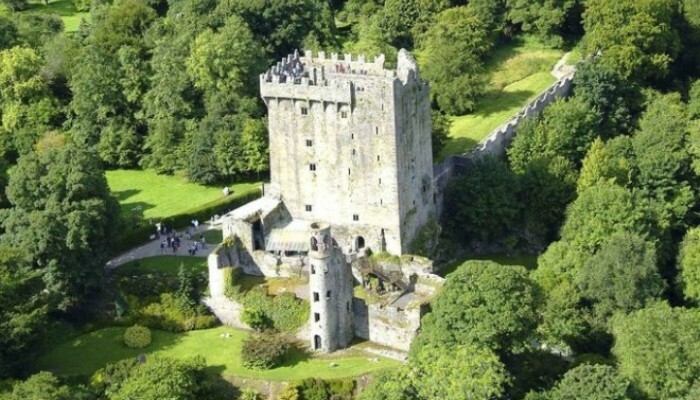 This castle was built 600yrs ago and is the biggest attraction in the south of Ireland. Kissing the stone is supposed to leave you never short of words. Hmmmm – maybe! It is open all year round. Whatever your reason for coming here make sure to take a stroll around the castle and see the Rock Close Garden and experience the Witches kitchen and stone, the Druids circle and sacrificial altar, the head Druids cave, the wishing steps, Fairy glade and the Dolmen Stone. Famous people have visited here, even the guys from American Chopper have been and Senior has kissed the stone – maybe that’s why he aint short of words. Cork was once a walled city and today some of the wall and gates remain. It has great market place simply called the English Market and has its fair share of grand buildings, castles, theatre’s, galleries, restaurants and shops. Like all Irish cities it too has it monuments and statues, abbeys and churches, opera house and brewery. You won’t have time to put your feet on the ground if you want to see them all. Don’t in any way take it personal if you get asked the most basic question. They aren’t taking the ‘mickey’ out of you, they just don’t know!. 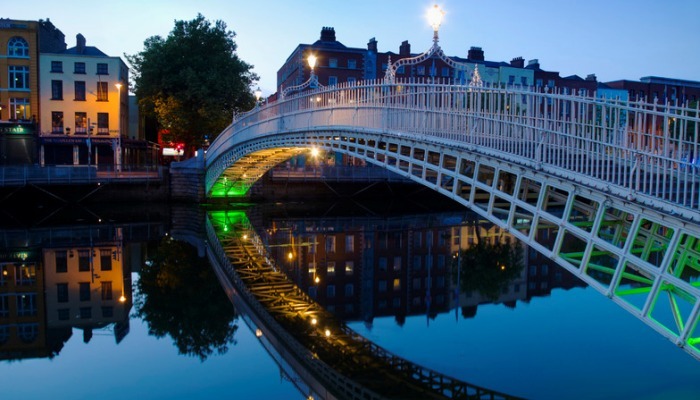 Take a day trip out of Dublin on the train. You won’t get lost. Take a Paddywagon tour. It’s not only for the under 30yr olds and they are fun. If you fly into Dublin airport take the bus into the centre as it is quite a distance and a taxi will cost heaps. The same applies if you arrive on the ferry from Holyhead in Wales. You will not have any troubles finding an ATM. The buses and trains are comfortable and go direct to all major cities. Want to know anything just ask anyone, the Irish are friendly and helpful. Remember when you go to Northern Ireland they use the £ (pound) as their currency as they are part of the United Kingdom. Sadly for me on my second visit to Ireland I got food poisoning. There is no way to avoid this so remember to have some Imodium in your suitcase all the time.